The idea and the reality of colour correction looms for many people as a kind of esoteric world where it feels like things should behave in a very straightforward and predictable way and yet they often react in ways that appear completely random… a bit like quantum physics! And as with quantum physics, there are predictable patterns in hows colours react. This article will explore the fundamentals of how to understand colours in a practical sense and get them to do what you want. In this context I will use colour correction to refer to the technical process of rebalancing the colours in an image and colour grading as the creative process that involves colour correction and a few other elements like contrast and shading. Some of the problems we have in controlling colour actually begin very early in childhood. If some of this seems too basic or not useful, bear with me because it’s impossible to really control colours without understanding these elements. I have a toddler and it has been fascinating watching as he begins to understand colours. It’s one of the first things we learn to identify and communicate about as a child. Red car. Green grass. Blue sky. This actually leads to our first, deeply embedded misunderstanding about colour. We tend to think of colours as separate, fixed and objective. The car is red, grass is green and sky is blue. The way we actually perceive and experience colour is exactly what it is in a scientific sense …a spectrum. There is no clear scientific differentiation between colours. While it helpful in every day life to think of colours as separate, fixed and objective (the traffic light was green, officer) when we do this we are defining little slivers of the spectrum for a specific purpose. We can clearly define primary blue and green as points in the spectrum but between them is an infinite number of different hues that are have to be defined subjectively. In a specific medium, they may even be defined objectively, a particular shade of paint or dye can be defined by a specific name or number. But the way that colour is perceived when it is used is largely affected by context. 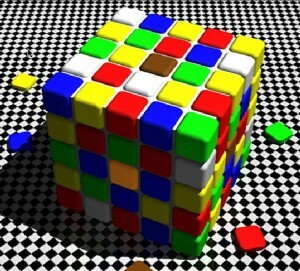 Colour cube illusion – source unknown. 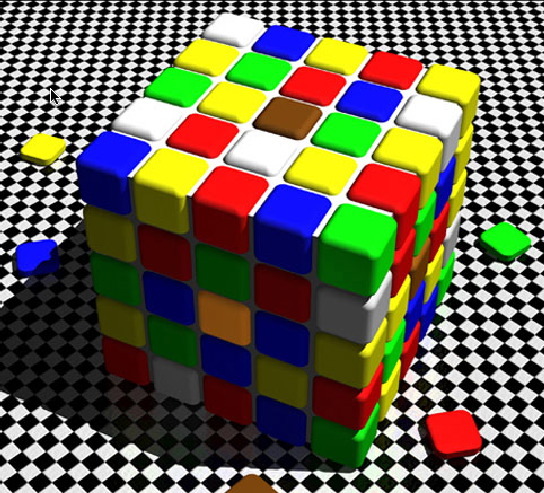 In the colour cube opposite the orange square on the front and the brown square on the top are the same colour. If you haven’t seen this illusion before you’ll be thinking that is impossible about now! But it is true, both squares have an 8-bit RGB value of 128,70, 15. Even as I sit here writing this having just double checked those numbers exactly, I still see orange and brown. Even in something as simple as a pure digitally created, static image, context can completely change our perception of a single colour. Add movement and the real world into the mix and defining the colours we see becomes impossible. Yet, we are able to control colours in a precise and predictable way. From earliest childhood we learn to think about colours in ways that are useful for normal life but become a barrier to learning to colour correct photographic images. The first step in this process is to catch ourselves whenever we start thinking about colours as separate and distinct things and remind ourselves that we are dealing with a spectrum. The next problem usually starts in pre-school or kindergarten. Remember the first thing you were taught about coloured paints? Apart from “don’t paint the curtains! !”, it was probably that there are three primary colours of paint: Red, Blue and Yellow. Right? Not by a long shot. There are three primary colours in paint but only one of those colours is on the list: Yellow. As you can see, they do make white and pink, but not much else. If primary colours are colours you use to make other colours, then Red, Blue and Yellow are not the primary colours of anything. In fact this might contribute the what happens when people try to correct an image that is too blue by going towards red on a colour wheel only to have the skin tones all go pink! The shades of Red and Blue are recreations of the primary coloured paints from kindergarten and they are actually closer (technically) to the less familiar colours Cyan and Magenta. The context in which most people come across Cyan and Magenta by name is in something related to ink and printing such as the CMYK colour space. You’ll have seen in that last example that the Cyan, Magenta and Yellow overlapped to form very clear red, green and blue segments. The primary colours relate to the sensitivity of three different types of cone cells in our retinas, so this bit is based in science rather than perception. So we have Cyan, Magenta and Yellow that form the primary colours of anything that subtracts light, such as paint or ink filtering the light that is reflected off a page. Any two of these mixes to form a secondary colour of Red, Green or Blue. You probably knew that bit. You might also know that when we are adding light, i.e. working with light itself, then the primary and secondary colours are are reversed. That’s all fine but how do we use that knowledge? Knowing that you’re colour correcting with Red, Green and Blue elements is ok, but we’ve spent most of our lives believing that it is Red, Blue and Yellow that we use to mix other colours, so if you don’t have yellow in one system and you don’t have blue in the other, how the hell does anyone ever make green? The answer to the last question is of course that yellow and blue do not make green, yellow and cyan do. That relationship, or more particularly, the relationship of green to the other subtractive primary – magenta is where controlling colours really begins. In controlling colours to be viewed by a human being (using any system or process) it helps to think of a three axis scale- Red-Cyan, Green-Magenta and Blue-Yellow. In human vision green is inescapably related to magenta. In any colour correction adding green takes out magenta. Even in a secondary colour correction (not to be confused with secondary colours) where only a certain range of colours are affected, within that range, adding green takes out magenta. And vice versa. It’s the same with red-cyan and with blue-yellow. If you take a well balanced image and use an RGB colour corrector to completely remove one of the primaries you will see a wash of it’s opposite secondary. This locked-in relationship seems to most people as a severe limitation. What if I want green AND magenta? Here is where we need to look back at our early misunderstandings of how colour works. Green and magenta can exist separately in the same image as perceived colours but in balancing the whole image there is only the choice of where on that axis we want the picture to be balanced. We’ve already seen that we easily associate red with magenta and blue with cyan. If we forget about brightness, which can be controlled separately in digital systems, then it is possible to get to anywhere in that three dimensional colour space using only the Green-Magenta and Blue-Yellow controls. Or if you’re using a system that has a colour wheel based control, then you can get to any position on the wheel by thinking about only the G-M and B-Y dimensions. Colour balancing any image can be as simple as looking at the picture and asking yourself whether it looks too green or too pink (magenta)? Then looking at it again and asking is it too blue or too yellow? Then repeat, because these channels affect each other. As an example, to warm up an image with a nice golden feel it is a matter of going away from blue which will introduce a greeny-yellow look and then going just far enough way from green that it looks golden, but not pink. In most cases you need to go just a bit too far and then pull it back and just keep tweaking the G vs M then B vs Y until you have the exact balance you want. Many colour correction systems will have colour balancing for shadows, midtones and highlights. If you’re using all three then you simply repeat the process on each one. Especially if you’re correcting images from a digital camera, they tend to be quite neutral in the shadows and highlights, so don’t be afraid to do very little if that looks right! Beyond this is Saturation (or Color) and it should be used as a final tweak rather than the first line of defence that many people use for. Using the Saturation control in an attempt to improve an image that hasn’t been properly balanced first is most likely to end up giving you a “muddy” looking image. Before using the saturation, the levels of the shadows, midtones and highlights should also be used to get the desired look. These are called the Levels histogram in Photoshop and are often called Blacks, Mids and Whites or Gamma, Lift and Gain (gamma=mids, lift=shadows, gain=highlights). Whatever the terminology these controls allow you to change the relationship between the different parts of the brightness scale in an image. Darkening the shadows usually creates a more rich and dramatic image while brightening them creates a softer feel. Bright highlights can feel clean and fresh while darker highlights creates a more subtle feeling image. The midtones are the most effective for controlling the overall feeling of brightness in an image, think of them as your exposure control in colour correction. The process of using all of the elements above is what is referred to as Primary Colour Correction, primary as in first, not to be confused with the primary colours that are such an important part of it! 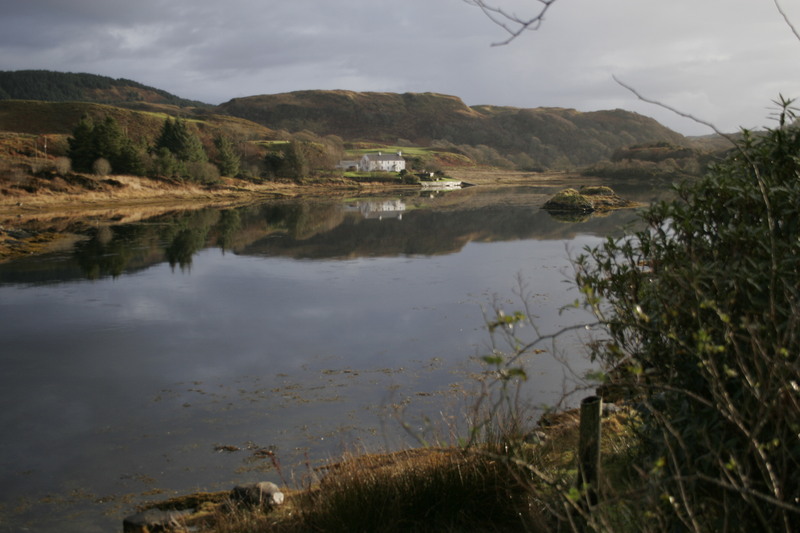 Colour grading of any project begins with using colour balance, levels and saturation to create the desired look on each shot and then making sure it remains consistent, shot to shot and scene to scene. Beyond this is the exciting world of secondary colour correction, shading and a host of other tools to add polish or different looks to an image. All of that however, depends on the primary corrections in order to reach the right end result.